Why Riddell should be concerned about Litigation When CT/MRI Recommended? The National Operating Committee on Standards for Athletic Equipment (NOCSAE) is warning athletes and their parents of the need to thoroughly understand the extent of protection provided by – or not provided by – athletic equipment worn while playing sports. 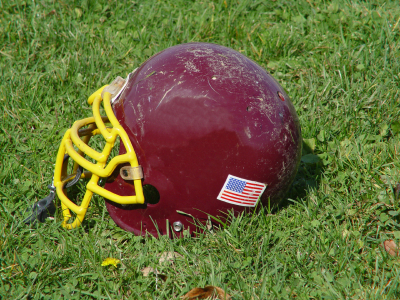 NOCSAE’s warning comes in the wake of claims by several companies that their products such as head bands, supplements or mouth guards reduce the incidence of concussion, and was made at the beginning of the group’s summer meeting in Kansas City. “Parents, athletes and coaches are becoming more informed about concussions, and this increased awareness is vitally important to advancing athlete safety. But it also creates a demand for quick solutions. Unfortunately, there are quick solutions offered for sale which have neither scientific nor medical support that validate their claims to prevent or reduce concussions,” said Mike Oliver, NOCSAE executive director. NOCSAE is an independent organization with the dual purpose of setting standards for the performance of athletic equipment and funding research necessary to advance the science of sports. Through NOCSAE’s independent process, physicians, academic researchers, coaches, trainers and manufacturers come together to establish standards based on accepted science and reliable data. NOCSAE does no, however, maintain any standards for such products, and, therefore, no such products can be claimed as meeting the NOCSAE standards. While protective equipment certified to the NOCSAE standard play an incredibly important role in protecting athletes on the field of play, they should be not the primary approach to protecting against concussion. Learning to avoid unnecessary head impacts (e.g. proper tackling), honest self-reporting of concussion symptoms to a coach or parent, and following trained medical management decisions about when a concussed athlete can return to play are far more likely to prevent a concussion or reduce the chance of chronic problems that may be related to untreated concussions.